Charlie Lane has been involved in training horses and ponies since an early age. He has "broken and backed" young horses over many years, always training these young horses that have never been ridden with a kind, sympathetic and when necessary firm but never rough approach. He is skilled at backing, long-reining and lunging horses both during their early stages of training and as they mature. 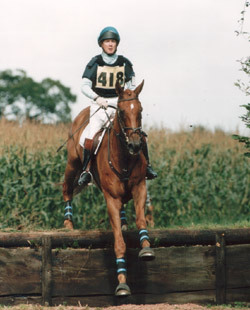 Charlie has taken horses from having been untrained or just broken to compete at up to Advanced eventing level and to race in point-to-points. He has trained talented horses to produce their best both on the flat and over jumps. He has extensive experience of training and re-training problem horses. Charlie benefits from his slight build which has allowed him to ride a wide variety of horses including ponies and young racehorses.